Teams are the reason that many great products and innovations around the world thrive. 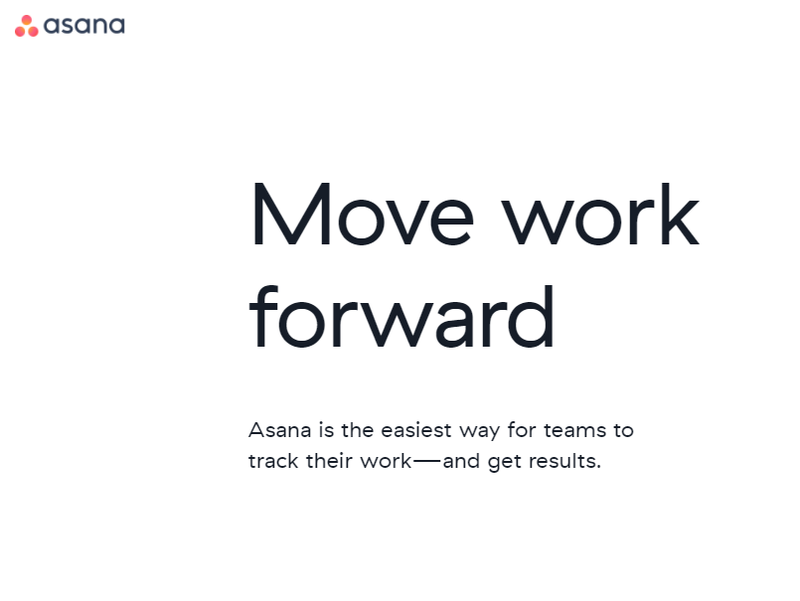 Asana knows this, and offers the most competitive and versatile way of helping teams work together. 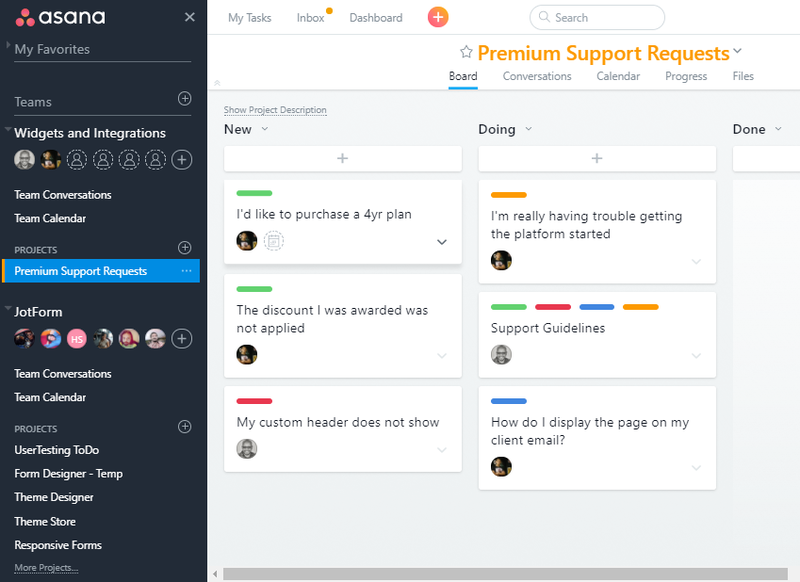 With a friendly and feature rich platform, teams can hit the ground running, organizing their work into projects and tasks; with each member to keeping the team updated on the progress of the work. 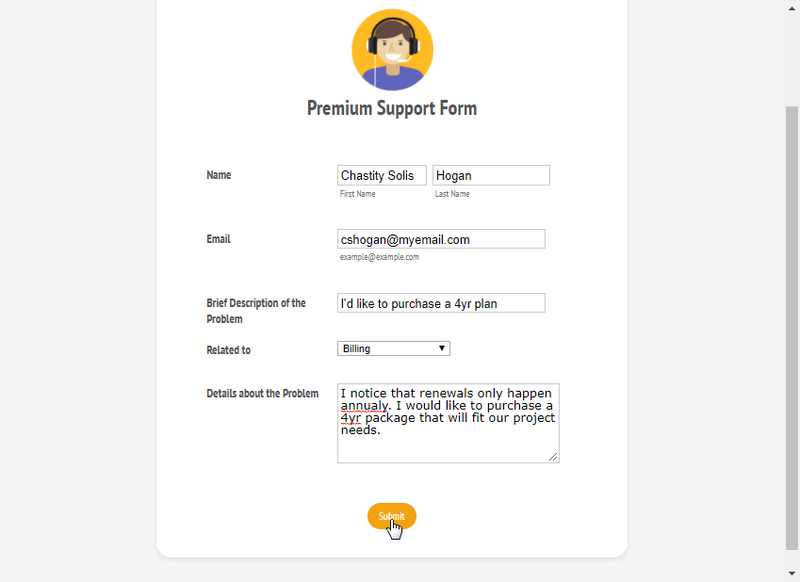 With JotForm, creating projects and tasks in Asana is a breeze. 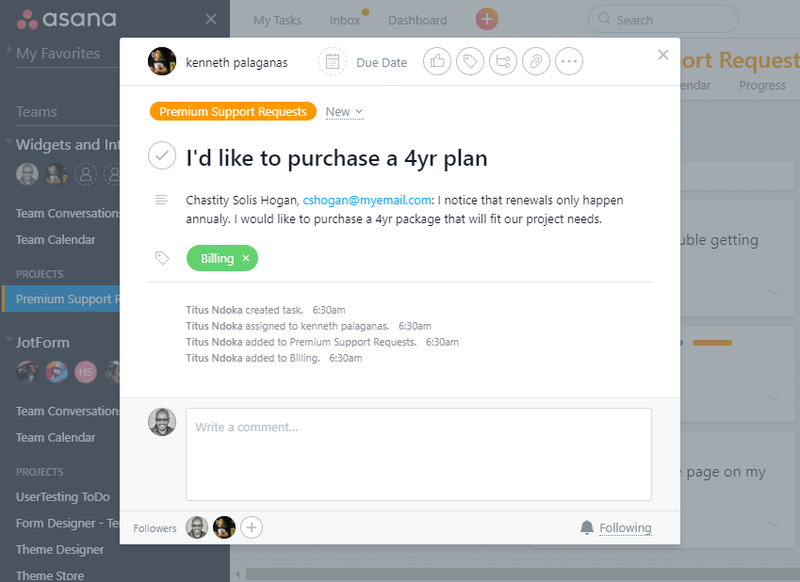 The Asana integration connects to your Asana Team, automatically sending form submissions as new tasks, projects or conversations. 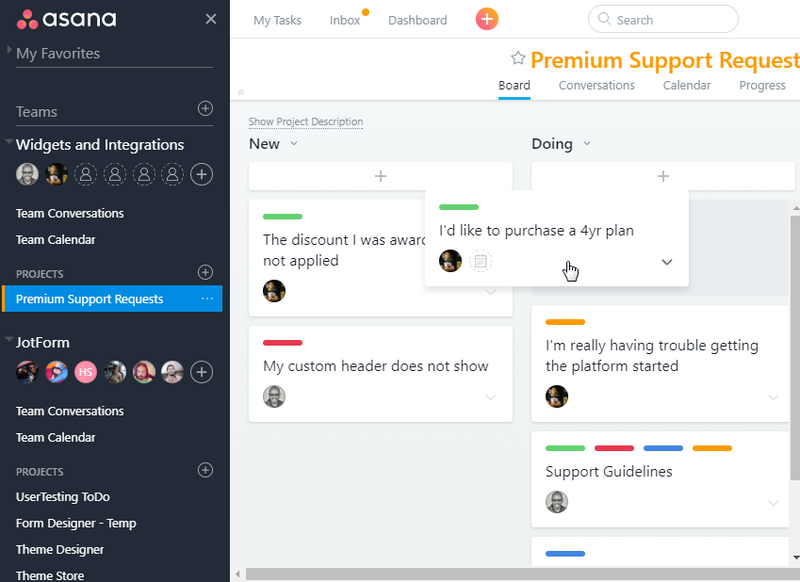 The integration is heading in a good direction - however it is still fairly limited in the information that it can populate in Asana. I find that NOT ALL fields are populated in asana- Can someone assist?